A long QT interval is more than 440 msec in men, or more than 460 msec in women. If it is more than 500 msec, there is an increase risk of Torsades de pointes. Causes of QT prolongation include medications, electrolyte disturbances and ischemia. 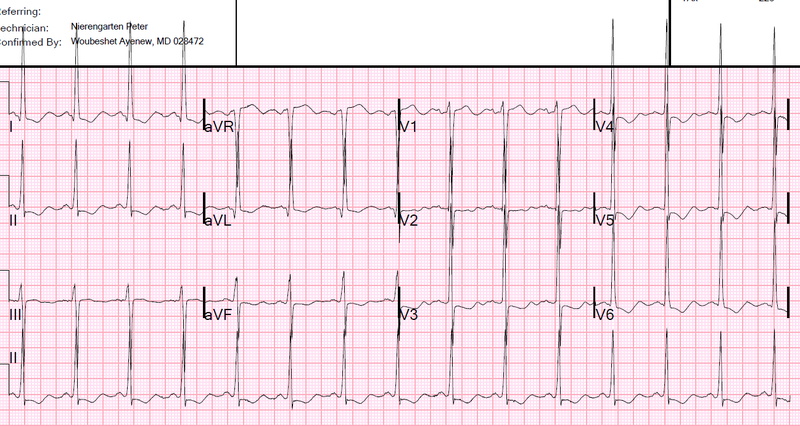 In overdose, the risk of arrhythmia (Torsades de pointes) is more closely related to the absolute than corrected QT. This is plotted on the QT normogram along with the heart rate and if the result is above the line there is a risk of Torsades.